Star Wars ABC's continues with the letter "L."
It is neither as clumsy nor random as a blaster. It takes skill to master and an affinity for the Force to build. 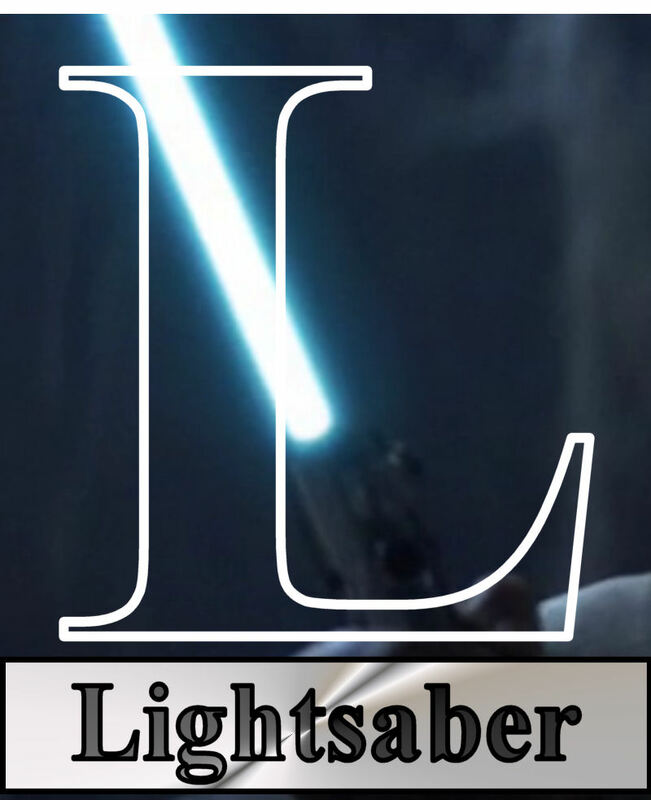 It is the lightsaber, the weapon of a Jedi Knight. Capable of cutting through just about anything, the lightsaber is the ultimate fantasy weapon. It's the one thing you've seen in the movies that you wish you could have right now. Even people who've never seen Star Wars recognize the tell-tale whooshing sound geeks delight in making while waving an imaginary sword (or a broom handle or a baseball bat or a dowel rod...). I'd go so far to say that the lightsaber is, in a sense, Star Wars. TOMORROW: Many Bothans died. We know it because she told us so.